You are looking for a unique and exciting way to let your community know about the Good News of Jesus Christ. You need a way to reach a lot of people at once, but you would also like to involve the entire church body in telling others about the Gospel. 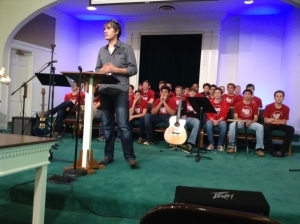 The EXTRAORDINARY OUTREACH EXPERIENCE is a multi-faceted approach to evangelism like no other. 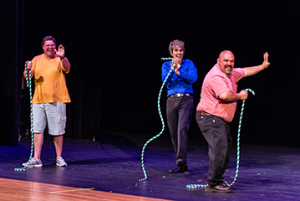 It combines the Knights’ fun and exciting illusion performance with powerful teaching to give your church body the opportunity to share Jesus’ message of redemption and restoration with their not-yet-Christian friends and family in a way that is both easy and organic. We start with David’s powerful STORIES workshop and message. STORIES is a fun and informative workshop designed to help your church spread the love of Christ to your community. Using a “relational evangelism” approach, STORIES will teach your people easy, organic ways to share theirfaith with their not-yet-Christian friends and family. STORIES will also show your people how they can use our show, ILLUSIONS, to begin having those spiritual conversations right away. ILLUSIONS is the Knights’ flagship show concept. It combines illusion, music, comedy, drama and audience participation into a theatrical experience your audience won’t soon forget. A guaranteed combination of laughs, gasps and thrills, ILLUSIONS endeavors to revive the classic styling of traditional magic effects while simultaneously pushing the art form to new heights. Imagine the fun your audience will have when a world-class illusionist reads their thoughts, makes things vanish and reappear, causes inanimate items to move on their own and much, much more. 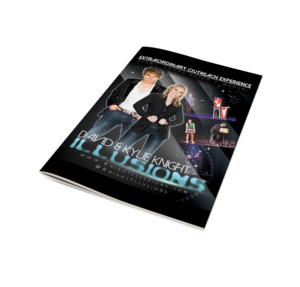 In addition to being remarkable and highly-skilled performers, David & Kylie are just really wonderful people that your audience will fall in love with. We will end the show with a beautiful and powerful piece of magic that makes your audience think about their value and worth as beings created in the image of God. To help make your job as easy as possible, when you book the Knights for the EXTRAORDINARY OUTREACH EXPERIENCE, we will provide you will all the tools necessary. That will include pre-designed posters, customized promotional videos and a manual that provides a timeline as well as team breakups and ideas for promotion and publicity.